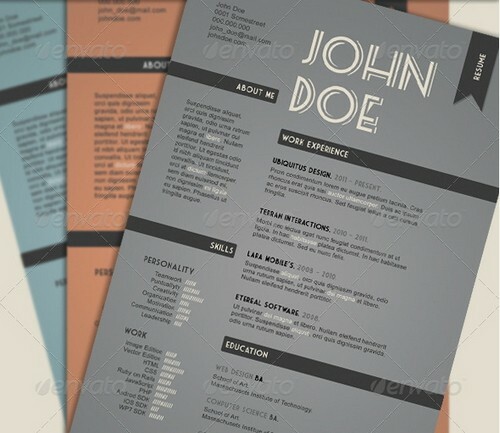 Resume / CV (curriculum vitae) is a document which contains about person’s experience and qualifications to secure new employment. 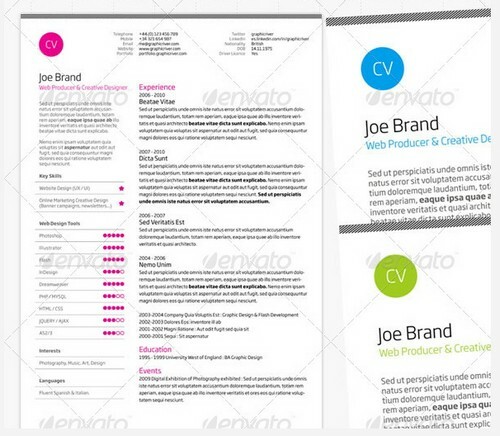 The CV has a different standard sizes in various countries, for example in United States, paper size for resume must be A4, while in some other countries use Letter as standard paper size. 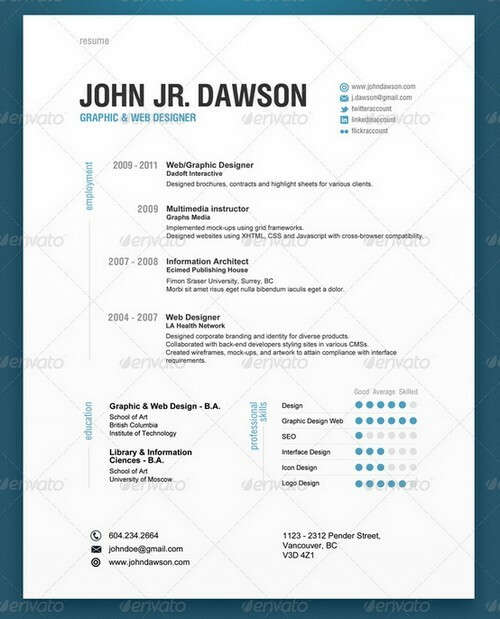 To find a job, especially if you are a graphic designer, you must show the information and skills that you have on your resume. 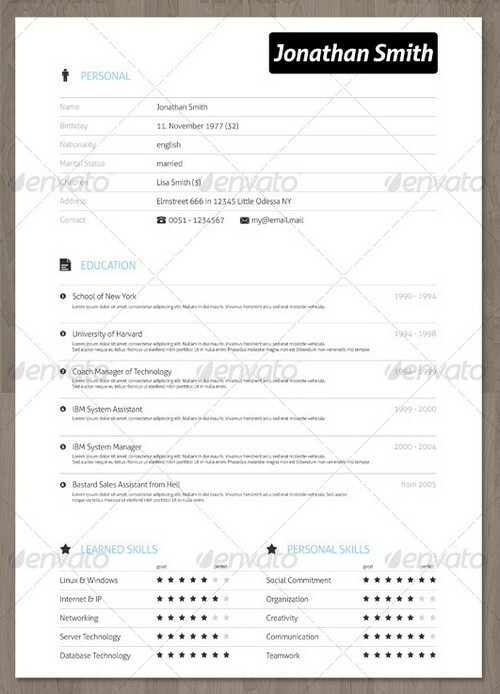 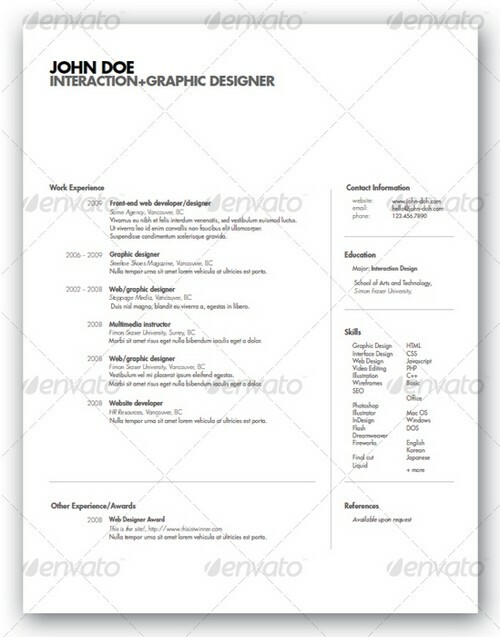 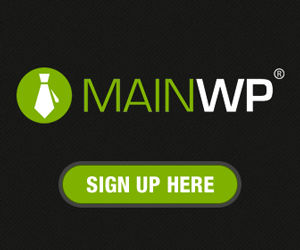 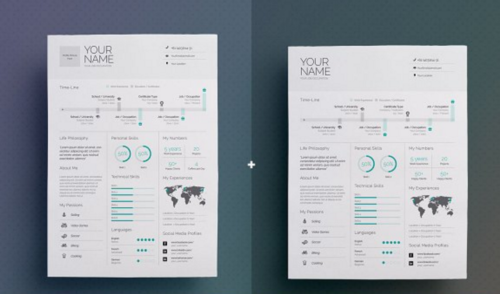 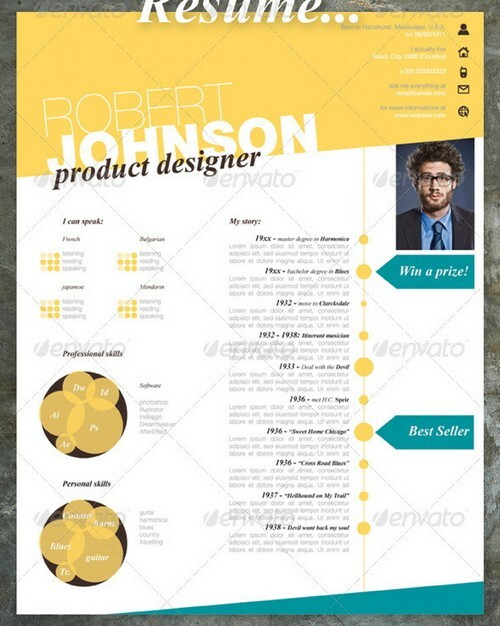 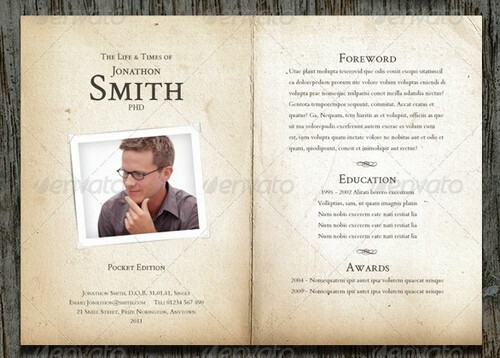 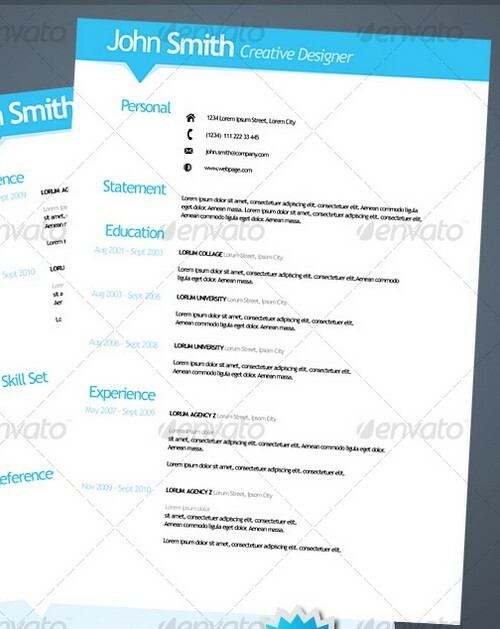 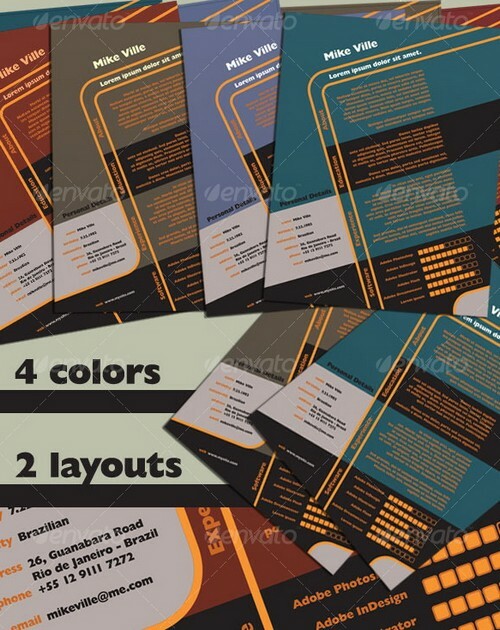 Below we present 25 modern and professional resume templates for your inspiration. 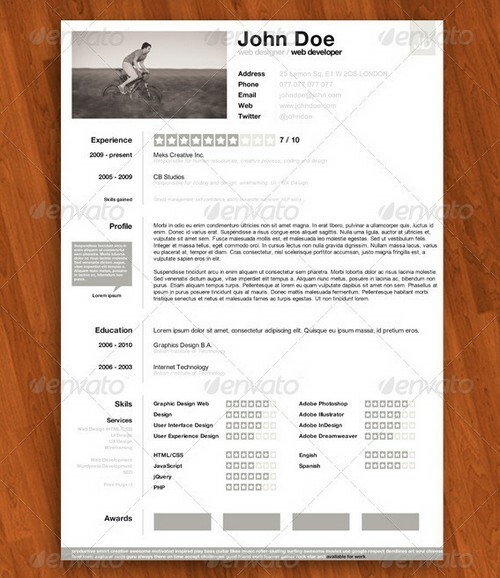 These innovative resume/CV template is designed to make you stand out among a crowded field of job seekers. 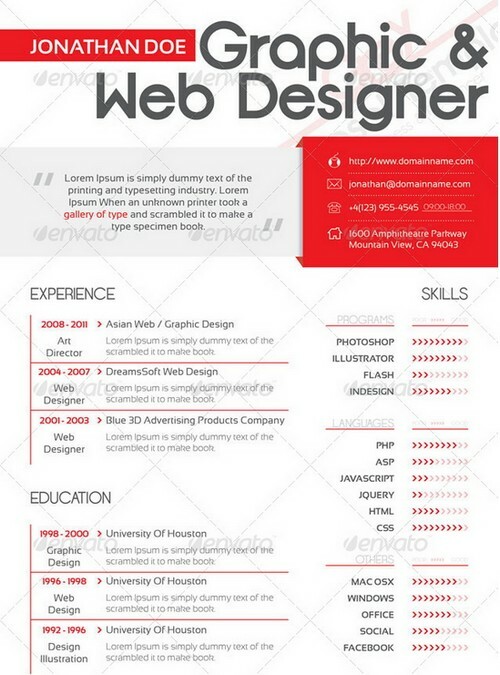 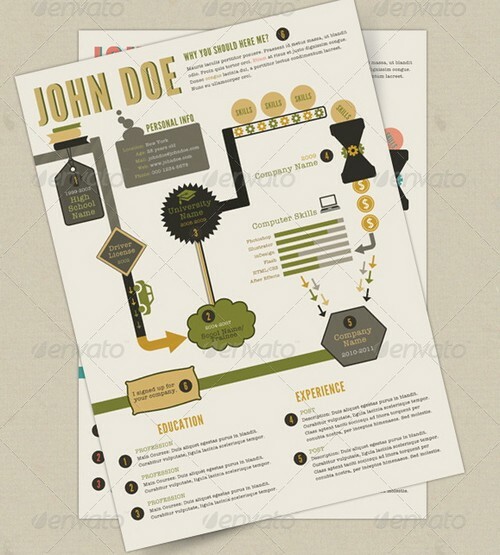 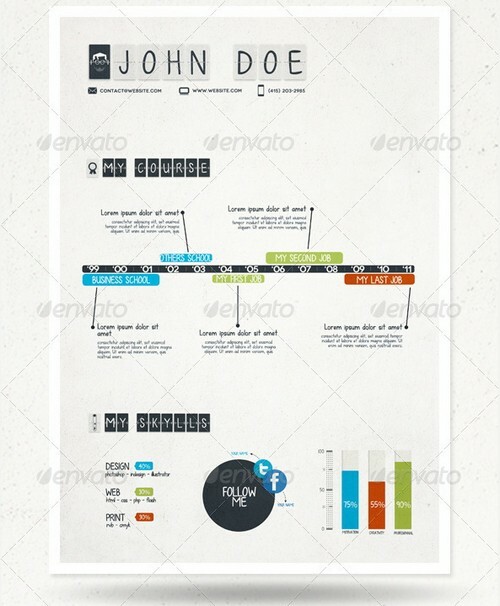 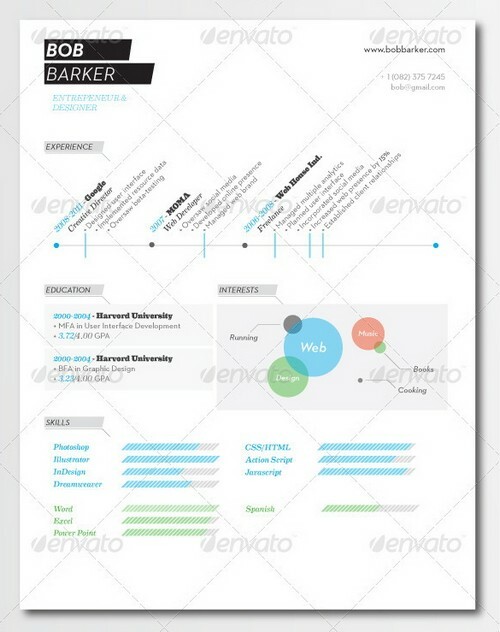 This infographic modern resume are awesome. 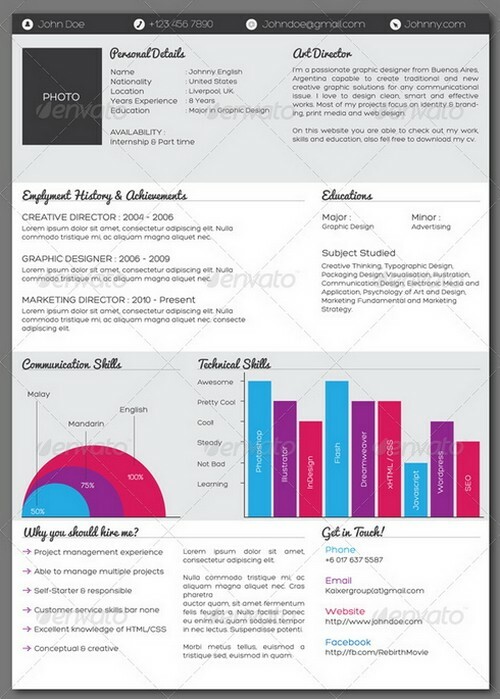 It’s easy to use and you can edit any elements of this resume. 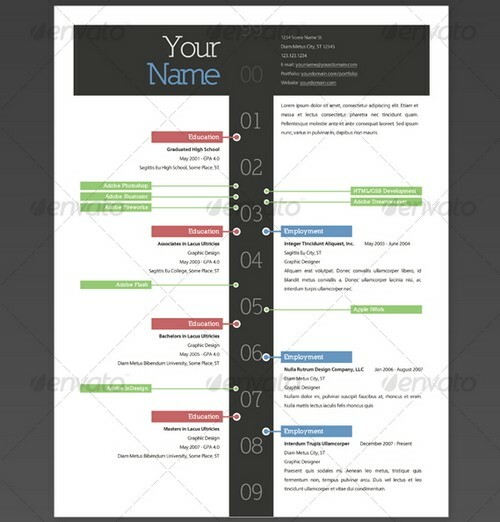 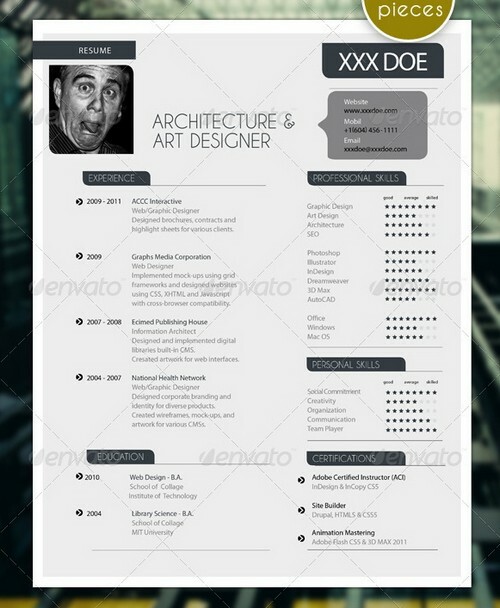 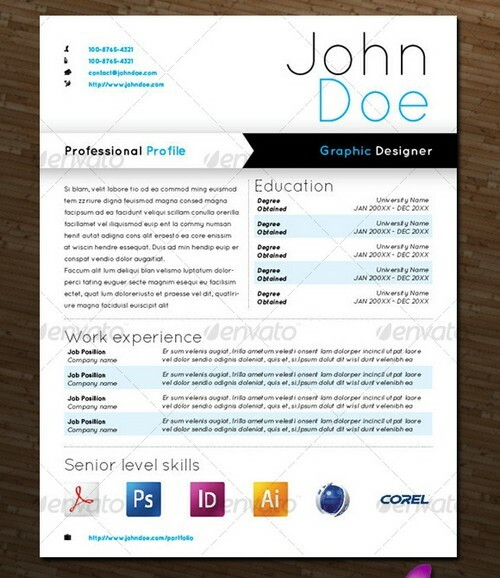 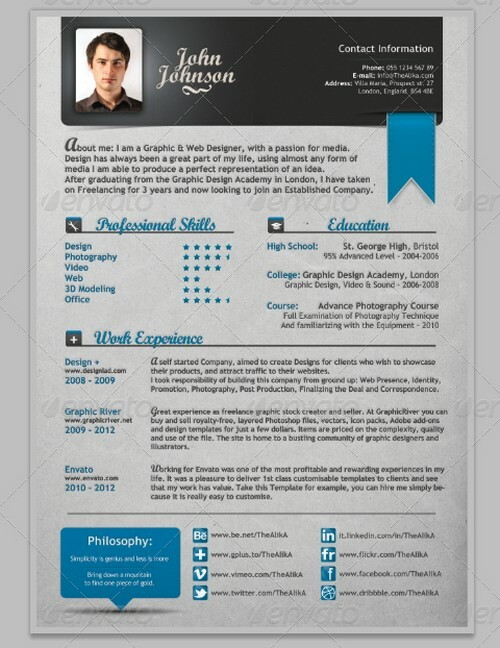 You can download this resume in Word format, PSD and INDD file format. 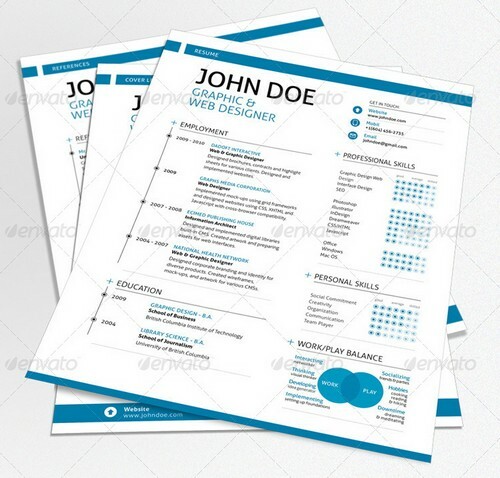 Everyone needs a resume at some point in time! 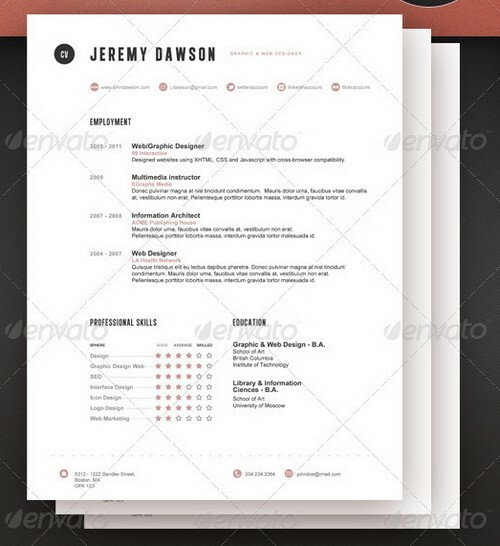 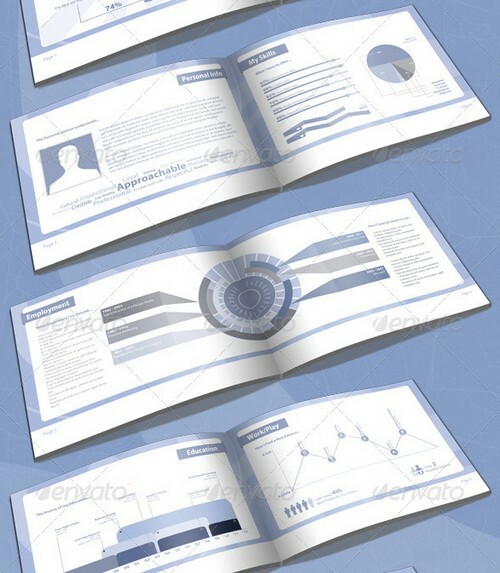 This is a 5 pack of one-page resumes created using Photoshop. 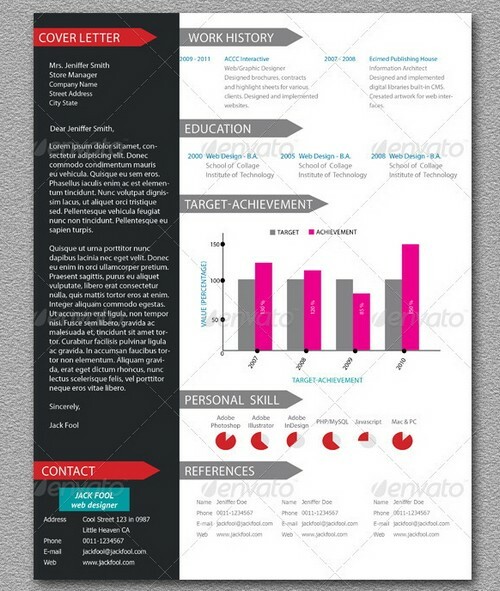 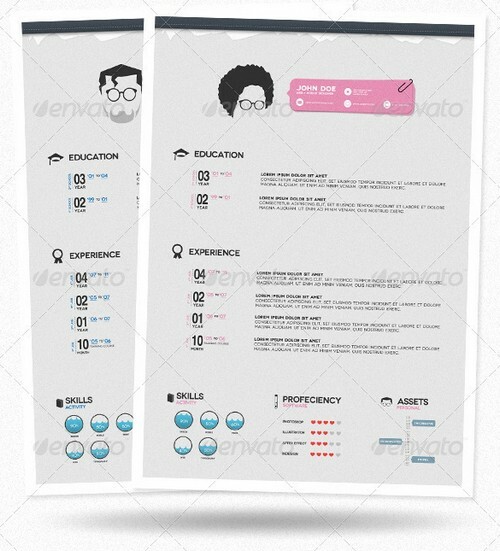 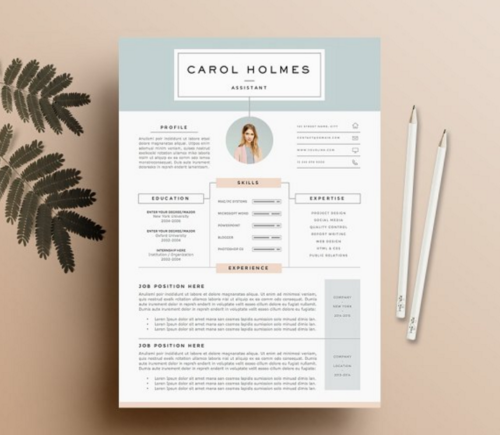 This clean and modern resume template is perfect for all women job-seekers. 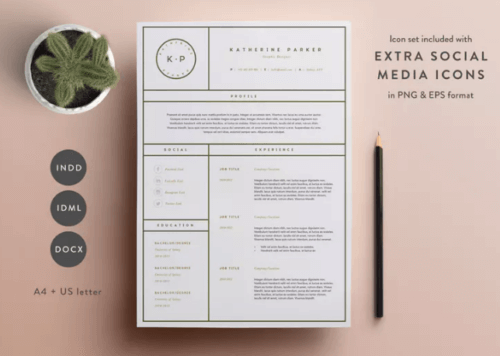 It has feminine, soft color schemes with neat layout. 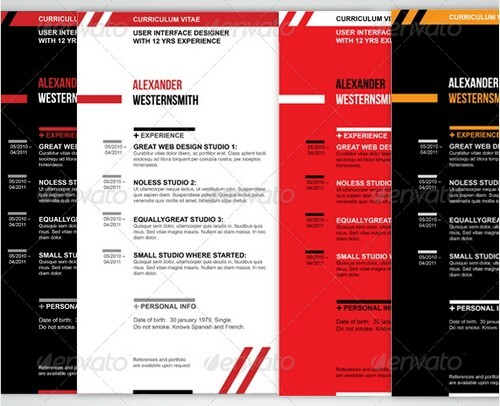 The Swiss Style was awesome! 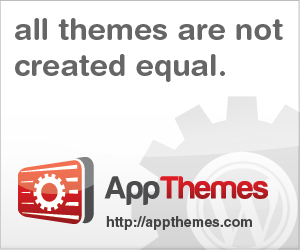 appreciate your collection!